It’s known as the “sunshine vitamin,” important for strong, healthy bones and immune system. Vitamin D also helps with muscle function and heart health. Fiona Cook is a clinical professor in the Division of Endocrinology at the Brody School of Medicine at East Carolina University. She says vitamin D is actually a prohormone. New research published in June links high doses of vitamin D supplements to an increased risk of kidney stones and cancer. The study, in The Journal of American Medical Association, finds that more people are taking megadoses of vitamin D supplements which could cause a buildup of calcium in the blood. Epidemiology Ph. D student at the University of Minnesota Mary Rooney conducted the analysis and wrote the paper for the yearlong study with researchers from University of Minnesota, National Institutes of Health and Johns Hopkins University. It found that the number of adults taking daily vitamin D supplements above recommended levels increased from 1999 through 2014. The current recommended daily intake of vitamin D – set by the Food and Nutrition Board - is 600 international units, 800 for seniors. 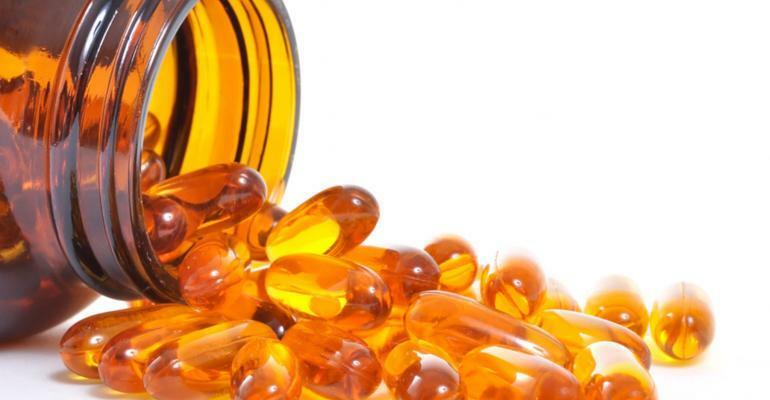 But according to the study, there’s been an increase in people taking high doses of supplements to resolve deficiencies in vitamin D. The analysis involved over 39,000 participants. Researchers found that the number of people in 2013 - 2014 taking 1,000 IU of vitamin D supplements everyday was just over 18 percent. 14 years ago, that was only .3 percent. Researchers also noted that the number of people taking 4,000 IU tripled in a seven year span. Experts recommend 10 to 20 minutes of sun exposure during spring and summer to obtain sufficient doses of vitamin D. In the winter, almost two hours would be needed. Skin tone, time of day and how much skin is exposed are all factors to consider. Vitamin D deficiency is a common diagnosis after blood tests show levels less than 20 ng/mL. A level of 10 ng/mL is considered very low. ECU Brody School of Medicine’s Fiona Cook says more people have to supplement because they’re not getting enough exposure to sunlight and fortified foods in their diet. Cook says bone pain and muscle weaknesses are common symptoms of osteomalacia, a condition associated with severe cases of vitamin D deficiency. A lack of vitamin D has also been linked to cancer, asthma, type II diabetes, high blood pressure and Alzheimer’s. Individuals who are at an increased risk for deficiency include the elderly, adolescents, people with darker skin, those who have had gastric bypass surgery, and people who have liver or kidney disease. According to the study, high dose supplements of vitamin D were most common among women, the elderly and Caucasians. Executive Director of the California based non-profit Vitamin D Council Missy Sturges contends high dose supplements may actually help people get their vitamin D levels under control. Sturges says supplementing with the recommended daily allowance of 600 IU only increases vitamin D blood levels to about 15 to 20 nanograms per milliliter, which she argues is nowhere near vitamin D sufficiency. “In nature, we would be maintaining anywhere between 40 and 60 ng/ml if we were getting safe sun exposure. That’s what our body strives to maintain. That would be 4,000 to 6,000 IU. She says most people can take 4,000 IU of vitamin D supplements per day without harmful effects. If you feel like you’ve heard conflicting information today, the takeaway is awareness. If you’re prone to kidney stones, heart disease or suffer liver problems, you may want to reevaluate your vitamin D supplementation. Still, experts agree the best way to get vitamin D is from the sun, at least 15 minutes of exposure each day.